Salman Khan has been ruling the hearts of his gigantic number of fans, since forever. Be it his films of television appearances, Salman is known to be people’s star with no-filter conversation. The superstar, despite being rounded with many controversies, never shies away from speaking his mind and takes every question thrown at him. Bhaijaan has been the forerunner and a bigger part of the Rs 100 crore and Rs 200 crore club. Not only is he is a superstar on the big screen, but he has also launched many fresh faces to the industry and became a true superstar at his heart too! Dabangg 3: Salman Khan Wraps Up the First Schedule! Check out ALL The Pictures From Maheshwar. The Dabangg star, along with being an actor, has a successfully running production house. However, the actor does not consider himself to be exclusively talented. 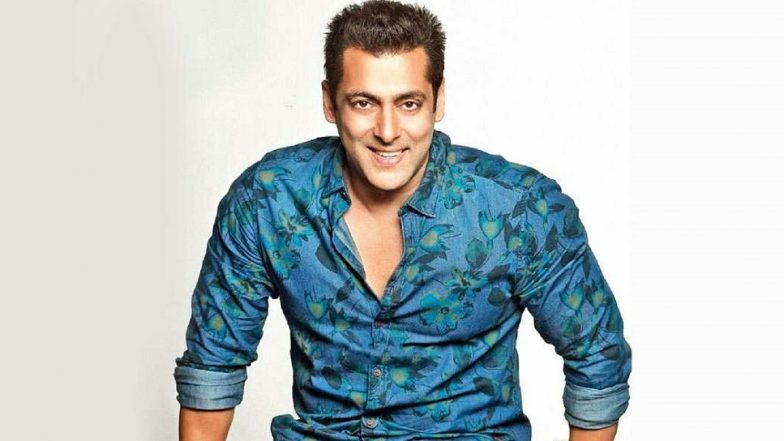 In an interview with DNA, Salman said, “My thing is that I’m surviving on mediocre talent and luck. Actually, I don’t know what I’m surviving on, but I’m surviving. Mere ups and downs toh hote rahenge. By the grace of God, hamari fan following itni tagdi hai. There’s also Akki (Akshay Kumar), Hrithik (Roshan) and Ajay (Devgn).” “Then, there are the new boys — Tiger (Shroff), Ranveer (Singh) and Varun (Dhawan). Everyone is so good that all of us will also have to, you know, be on our toes,” the actor further added. When Salman was asked if he considered himself the biggest of the three Khans, he replied, and as quoted by DNA, “Not really. By the grace of God, the films that I’m choosing have done well. But it is not as if Aamir or Shah Rukh are choosing bad or worse films. There are times when the movies I’ve chosen, to the best of my knowledge, haven’t worked. And then one film works and you’re back. SRK is a legend, as is Aamir. A bad movie here or there may happen, but they will always come back. Actually, tension toh mera hai. Aamir and SRK know their craft. I’ve heard people saying they’re not so sure about me (laughs)” After the 'Shivling' Controversy, Salman Khan's Dabangg 3 Lands in Fresh Trouble for Damaging an Antique Figurine During Shoot. On the work front, Salman recently wrapped the shooting of his upcoming film Bharat, co-starring Katrina Kaif. Helmed by Ali Abbas Zafar, the movie also stars Tabu, Disha Patani and Shashank Arora in pivotal roles. The film is slated to hit the theatres on June 5, 2019. The actor is currently shooting for the third instalment of Dabangg. Dabangg 3, which also stars Sonakshi Sinha, will be released in December this year.